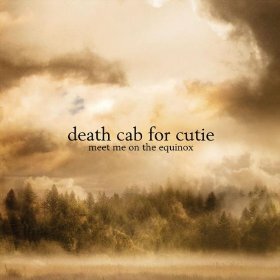 For example, we have sheet music for Meet Me On The Equinox from Death Cab for Cutie. This song is the first song announced for the movie NEW MOON, the sequel to TWILIGHT. The song Magic by Selena Gomez, on the other hand, is a song from the 70s that many of you have asked for. For those of you that prefer Christian sheet music, we’d also like to point out a few songs that we’ve added for your requests, too. If you’re interested, please feel free to add your sheet music requests through our song suggestion tool. Are you a vocalist who wants to improve your skills? How about a singer who wants to improve your sight-reading? Whenever we talk about things like How To Find Your Vocal Range or offer some Sheet Music Sight-Reading Tips, you often tell us how much you appreciate the information. 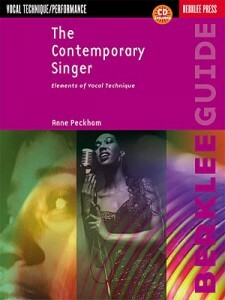 To help you become a better singer, we’re putting a great selection of vocal method books on sale. From now through midnight, September 30th, enjoy up to twenty-five percent off select vocal method books. The price is automatically deducted from the books you want to buy; there’s no minimum purchase nor do you have to enter a coupon. Included in our sale are vocal method books like The New Voice (How to Sing and Speak Properly) or the The Contemporary Singer (Elements of Vocal Technique) which we’ve pictured on the left. The New Voice method book has more of an emphasis on singing mechanics and is originally $15.95, but it’s on sale for $12.76, while The Contemporary Singer is perfect for vocalists wanting to appear on stage. We also recommend the book Sight-Sing Any Melody Instantly, for those of you who want to improve your skills in that area. To take advantage of this sale, we invite you to visit our vocal method books page to browse our recommended titles. We recently had some fun promotions for Guitar Guru, like our huge $10,000 give-a-way, but we’re not done yet! From now until midnight, September 30th take ten percent off of your favorite Guitar Guru Sessions. Just enter code GG3TEN at checkout to take advantage of the savings. Limit one per customer. You might want to check out some of the hot new Sessions we’ve added. This Guitar Guru Session of Yesterday by The Beatles has already hit our top five! With the release of the remastered CDs and BEATLES: ROCK BAND, Beatlemania seems to have literally struck a chord with guitarists. Check out these Guitar Guru Sessions for The Beatles to see some of the new Sessions we’ve added. Well that’s all the time we have for this week’s edition of The Whole Note. Until next time, make sure you tighten those strings and flex your fingers!